This post consists of two meals a while ago. 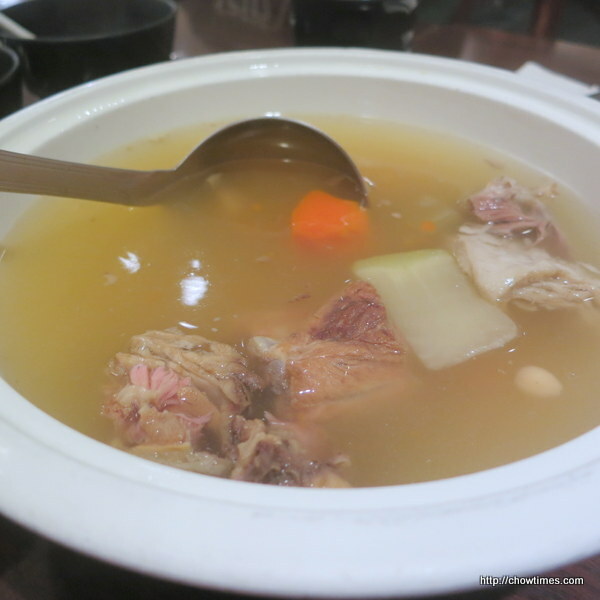 Complimentary soup of pork bones with carrot and green carrot. 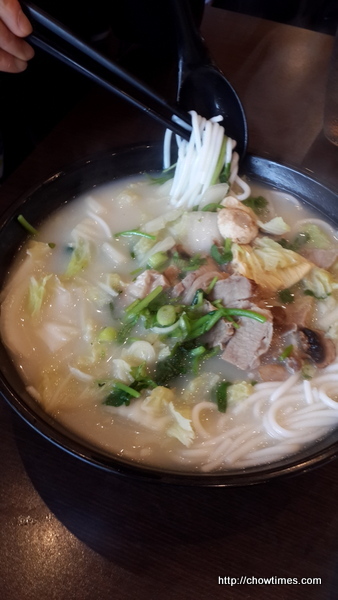 The complimentary soup is not bad as it is usually cooked for a long time. 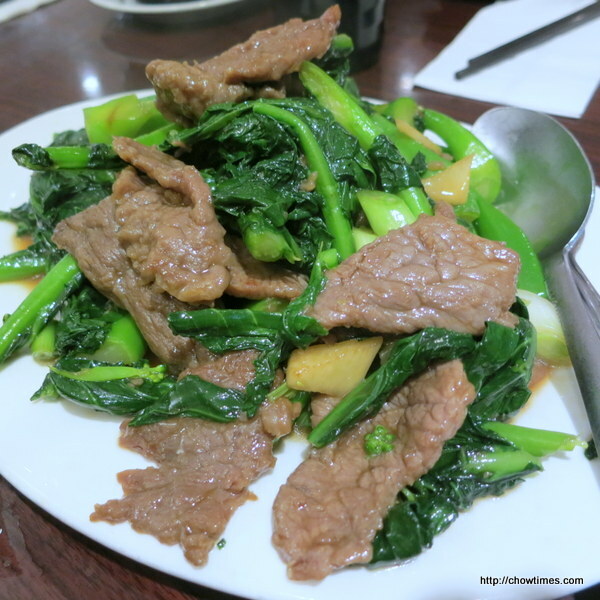 Seasonal vegetable (in this case, it’s Chinese broccoli) with beef. The beef were tender. 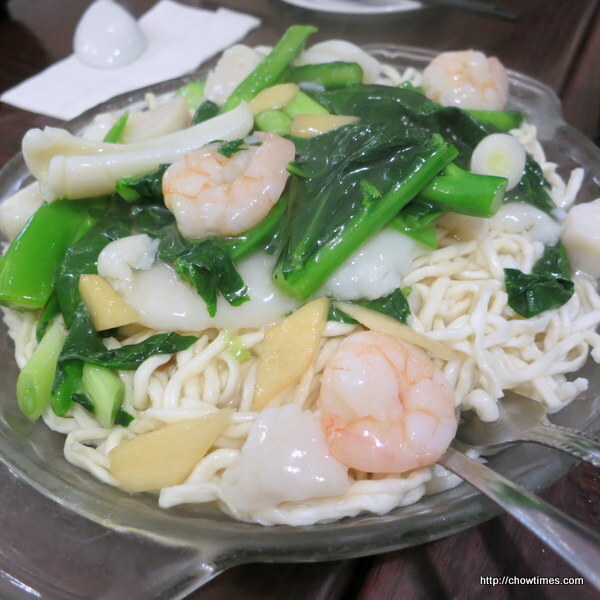 Seafood and seasonal vegetable with E-Fu noodle. 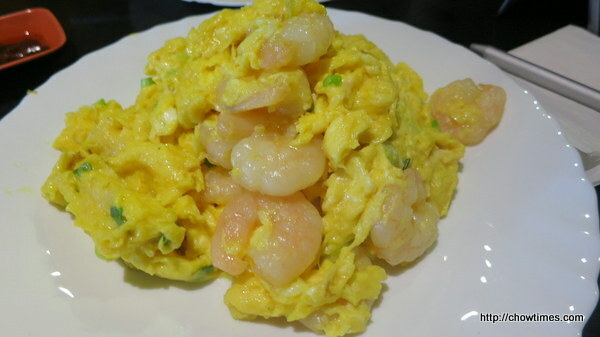 Ginger and green onions go well with seafood. 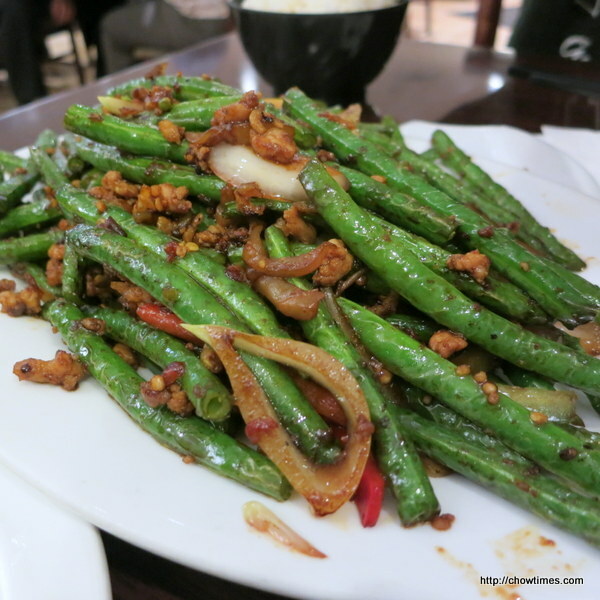 Spicy Long Bean with Minced Meat is our boys favourite vegetable dish. 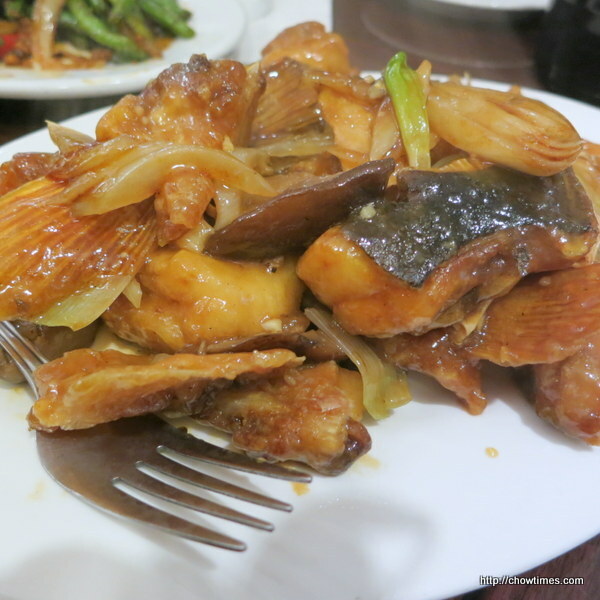 A pan-fried fish dish with soy sauce. I can’t recall the exact menu name. It was great except there was not a lot of meat. It was a pouring Saturday morning where Nanzaro participated in the Eastside 10K run. He got a free run as his design for the T-shirt for the run was one of the five finalists. Nanzaro wanted dim sum after his run. We went to Fraser Court Restaurant to reward him. The place was full when we arrived. 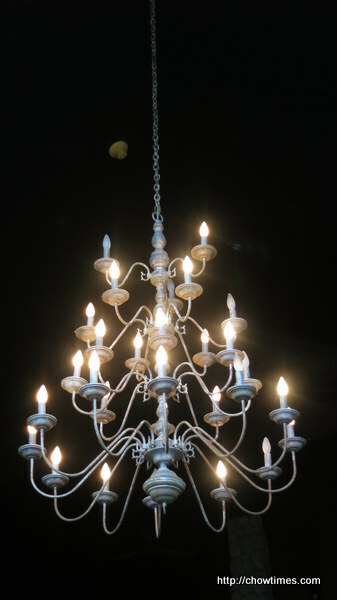 Moreover, a part of the dining room was partitioned off for some special function. We waited for a little while for a table. 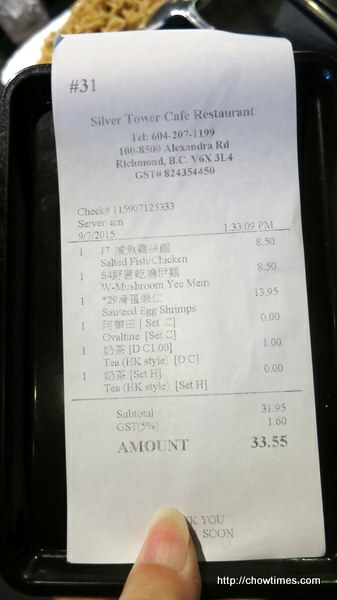 Ben noticed that they actually gave available table to some regular customers before us even though we arrived earlier. 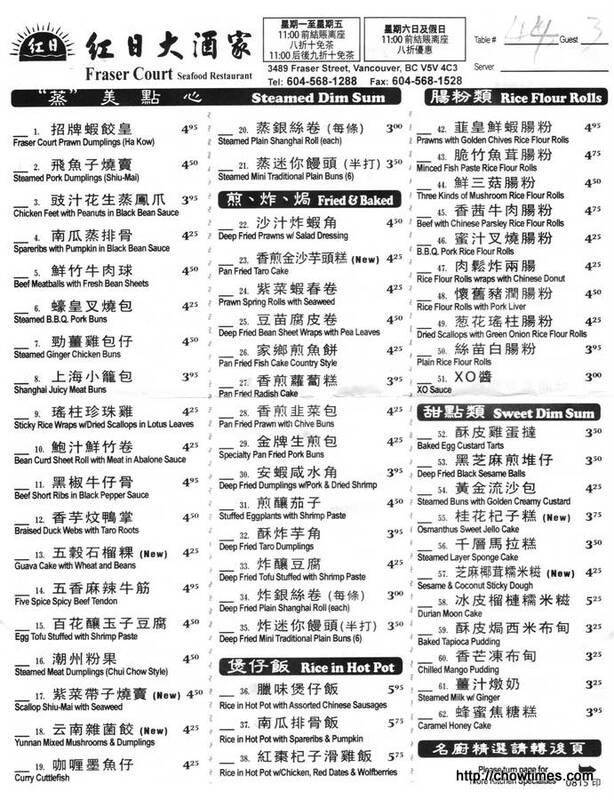 You can click on the dim sum menu to have a larger view. Nanzaro wanted either Ha Kow or Shiu Mai. 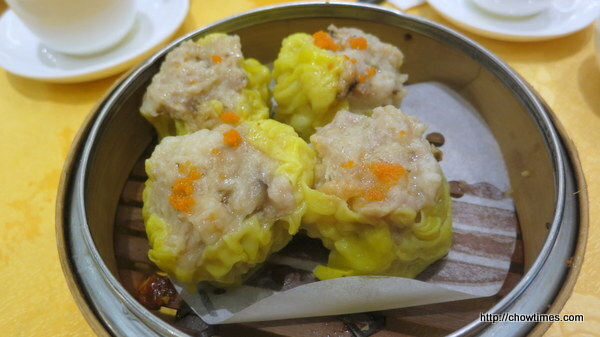 Ben ordered the Shiu Mai (steamed pork dumplings) which has some kind of fish in it too. 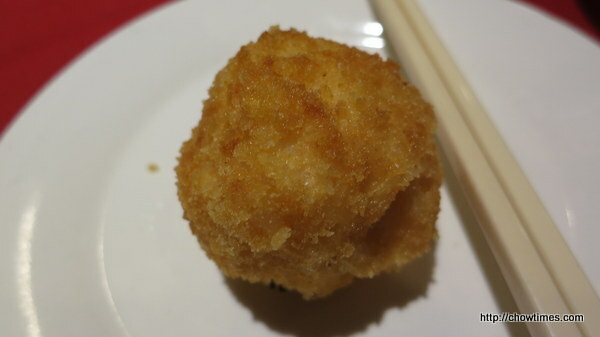 It was quite a big dumpling. Emily, Marian and I met up on a Monday mid morning for a walk at London/Steveston Park. Marian suggested the park because it’s walkable from her home. Since, it’s not walkable from my place, Emily came to pick me up. She drove to Steveston Community Park in Steveston Village and called Marian to meet us at the car park. Only then Emily realized we went to the wrong park. 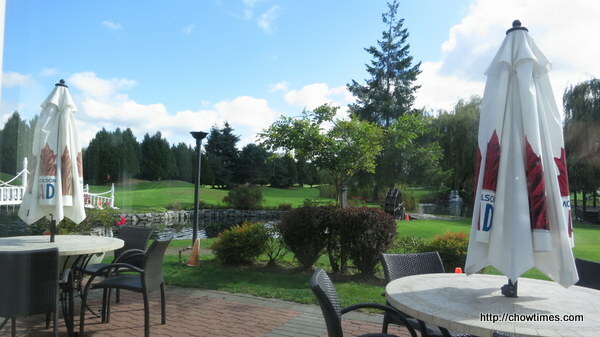 So, we drove back to London/Steveston Park. By then, Marian already completed 2 1/2 rounds of walk. We continued to walk for several more rounds. After the walk, we went for lunch. Marian wanted noodle soup. Emily brought us to Deer Garden Signatures at Venezia Place. We had no problem finding a parking spot because it’s still early. 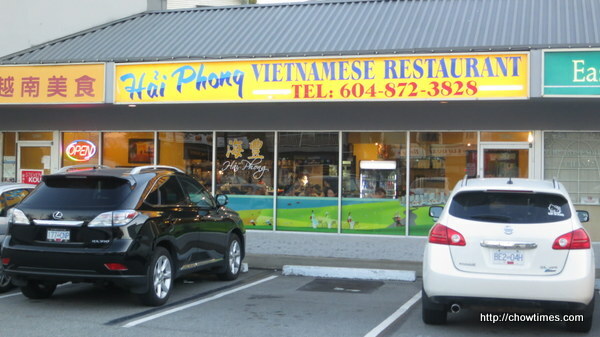 Ben intended to bring me to My Chau for Pho Ga on a Friday evening. We were not aware that it closes at 6:00PM. Although we reached My Chau before 6:00PM, there was a note on the door stating that it closed early for that day. So, we decided to walk along Kingsway to look for another place to eat. 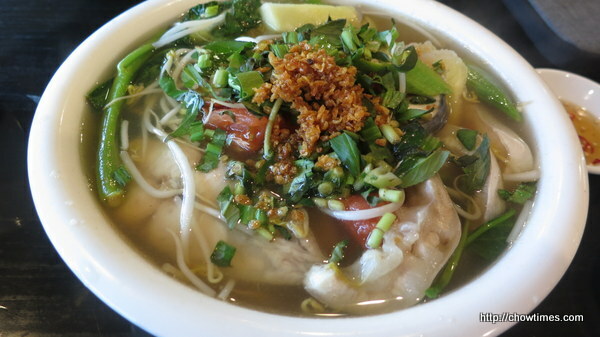 We came upon Hai Phong which we had not been here for a long time and settled with it. 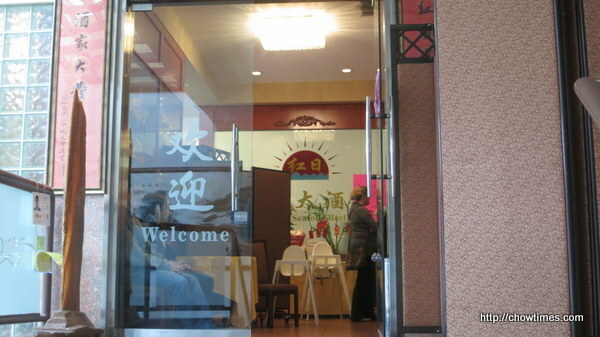 Lorna invited me to the Praise Dance Night at Floata Seafood Restaurant in Chinatown. It was a celebration of the formation of the Canada Praise Dance Association. The celebration started at Montgomery Park around 3:00PM. 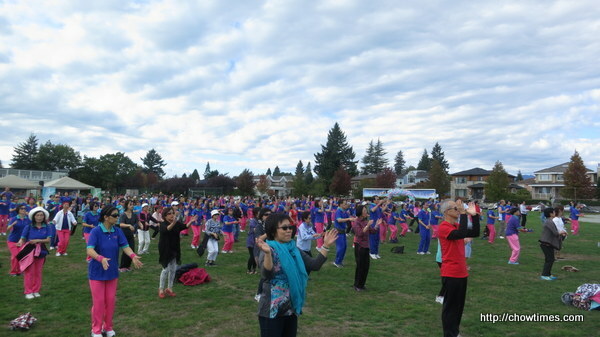 There were several hundreds of participants in this event. 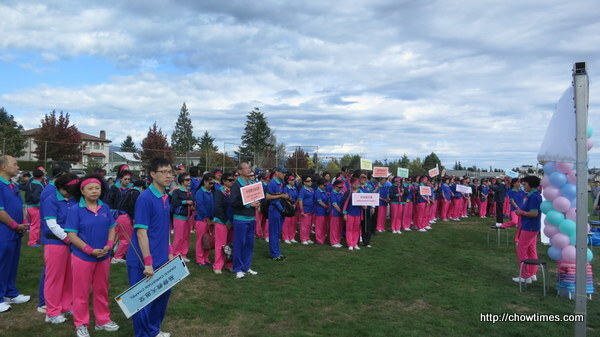 There were representatives from Taiwan, Hong Kong, Indonesia, China and various local churches. Although I do not know the dance exercises but I felt it’s a very good form of exercise. It is fun too to do it in a group. It was privileged to have the founder of the Praise Dance from Taiwan, Ng Mei Yun attending this event. I can’t believe she is 80 years old as she looks so youthful and bouncy in the dance moves. 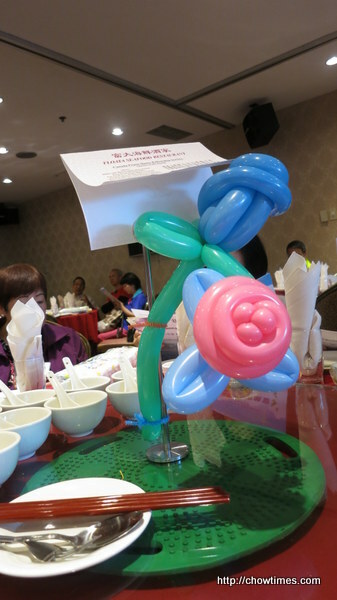 After the dance, we went down to Chinatown for the dinner. 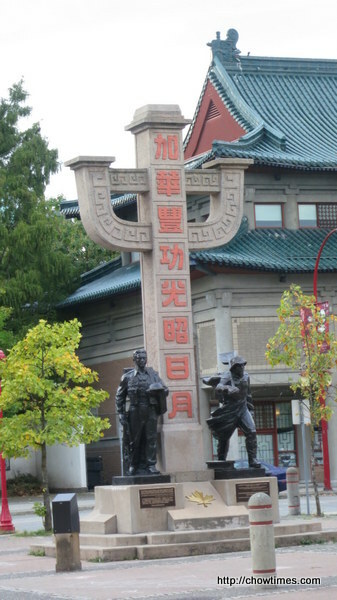 Since there were still time, Lorna and I went for a short walk in Chinatown. 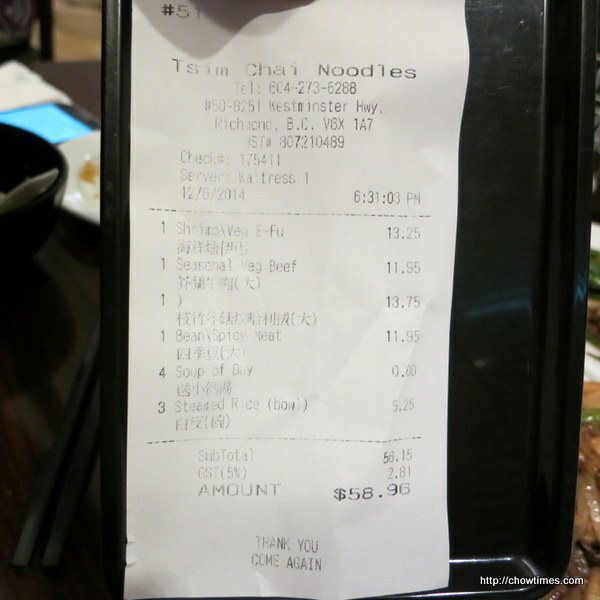 We returned to Floata Seafood Restaurant at 6:00PM. 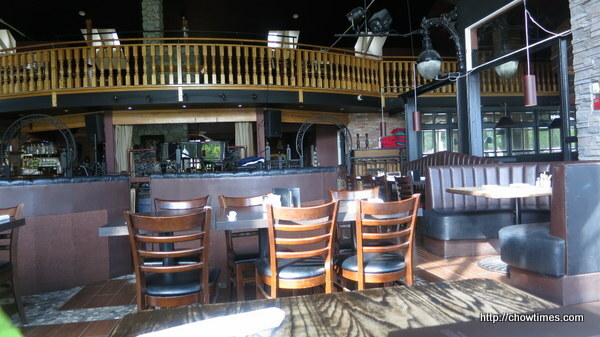 Floata was picked to host the dinner because it can accommodate large group. I heard that this dinner was attended by about 500 people. 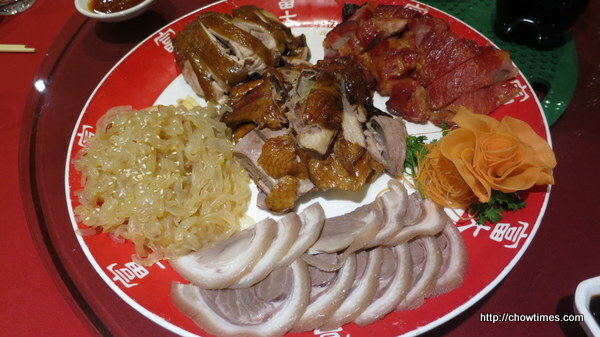 The first course was BBQ Cold Meat Combination Platter. I find the flavour of the BBQ goose (or duck) to be a bit too gamey for me. 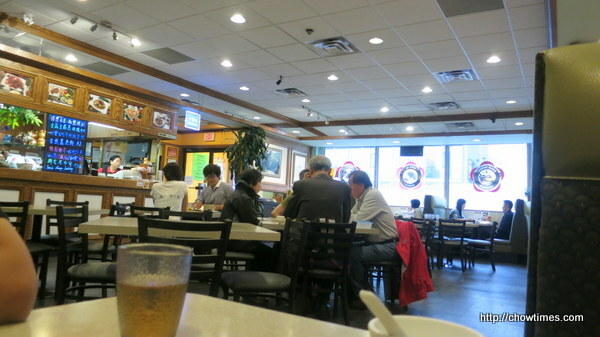 It’s been a long time since we dined at Silver Tower Cafe Restaurant since there are so many Hong Kong style restaurant in Richmond. 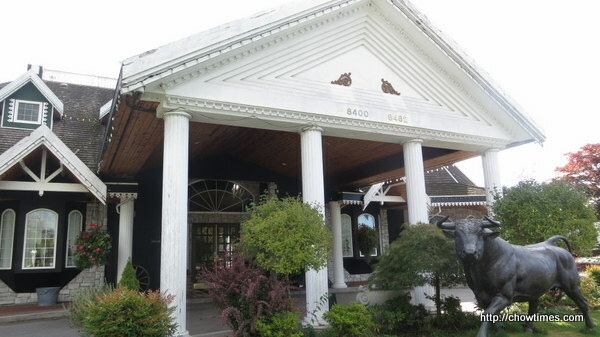 On Labour Day, we decided to have lunch at Silver Tower for old time sake. 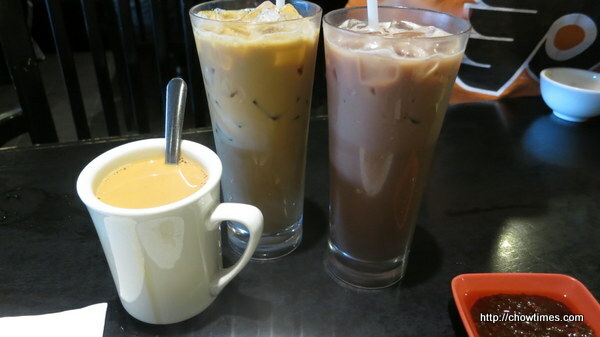 Ben and Nanzaro had iced milk tea and Iced Ovaltine while I had hot milk tea. The strange thing is that the iced milk tea has a $1 extra charge (which is the norm for cold drink) and not the iced Ovaltine. On a Sunday evening, Ben and I went out for dinner alone as our boys did not want to come along. We did not have a destination, so Ben just drove along Victoria Dr. and stopped at any place that catch our attention. 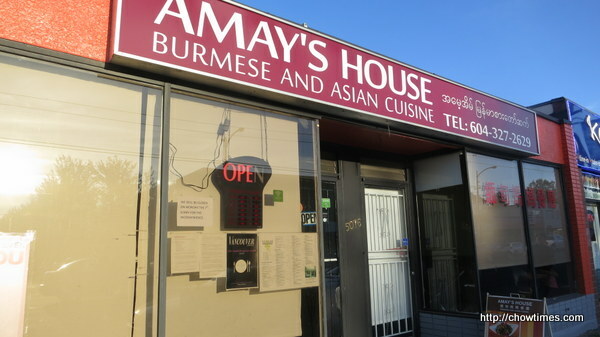 We settled with Amay’s House Burmese and Asian Cuisine as we have not try this place before. 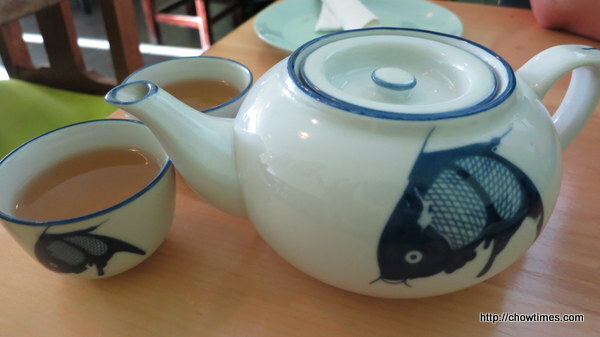 Chinese tea was served. 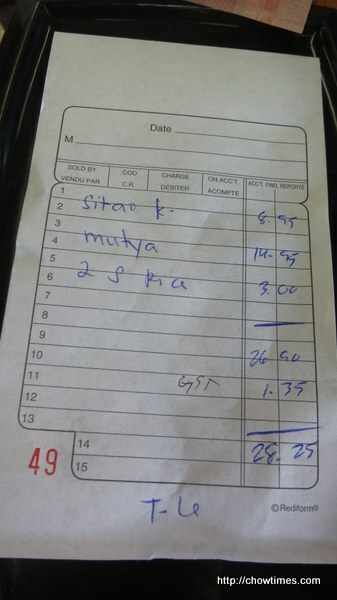 The customers in the restaurant were majority Burmese from their look and language. So, it must be authentic. I had to go to Costco in Richmond to get some groceries on a weekday. Lorna came along with me as we wanted to go out for lunch after groceries shopping. 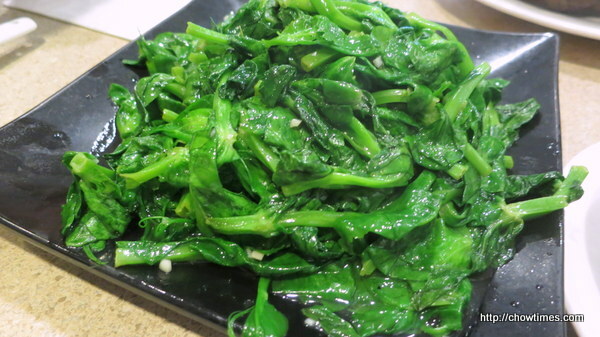 Initially, we intended to go to a Chinese restaurant on Bridgeport Road but I missed the turn in and as I tried to find a way to turn back, I got further and further until No. 5 Road. So, we changed our plan and stopped at the strip mall on No. 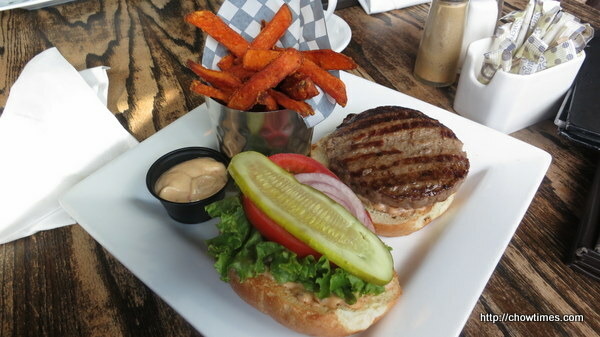 5 and Cambie. Moreover, I needed to get some minced ginger from Fruitcana. This is how we ended having lunch at Little Ongpin Restaurant. 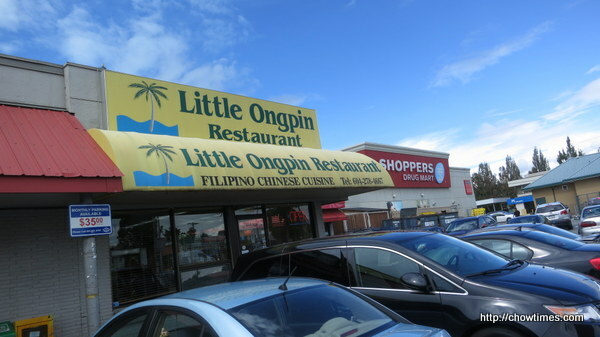 The customers here are mostly Filipinos. 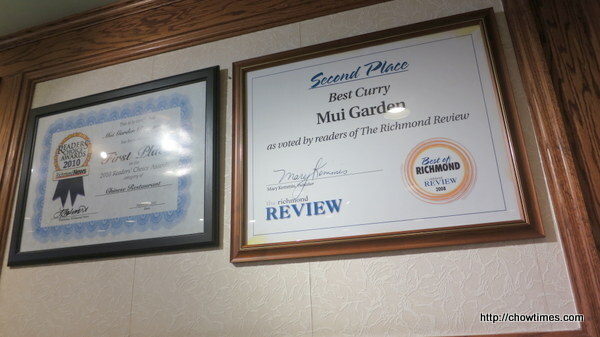 This is an indication that the food is authentic. We ordered two dishes to share. 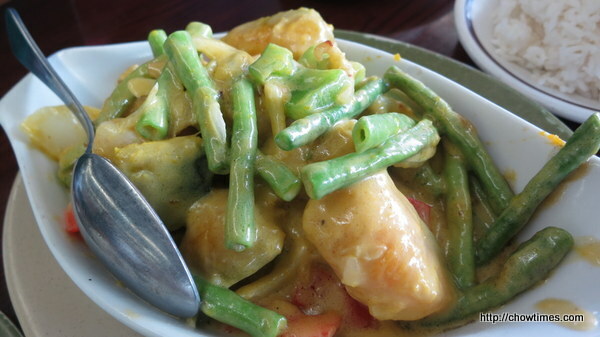 The first was Squash, string beans and shrimp in coconut milk. This is not a curry dish but it’s cooked in coconut milk. The string beans are crunchy while the squash is creamy. Good contrasting texture. 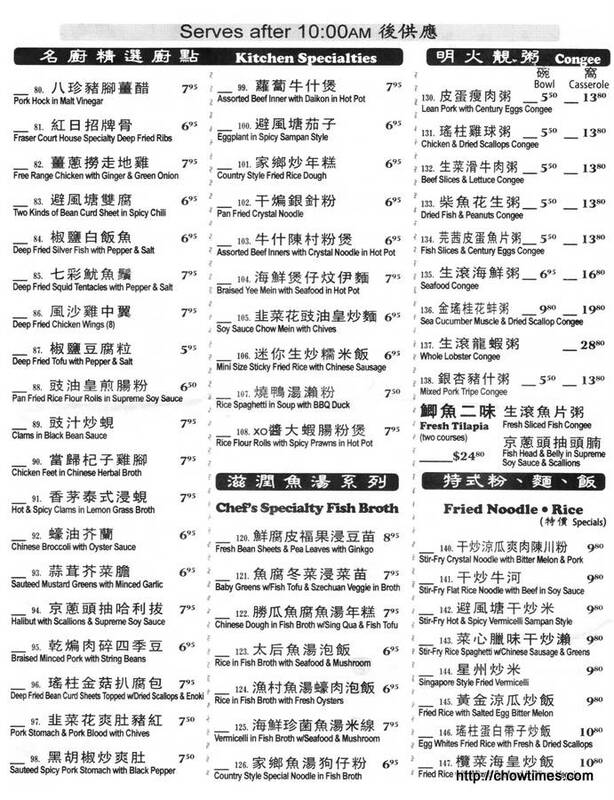 The dishes do not come with rice. 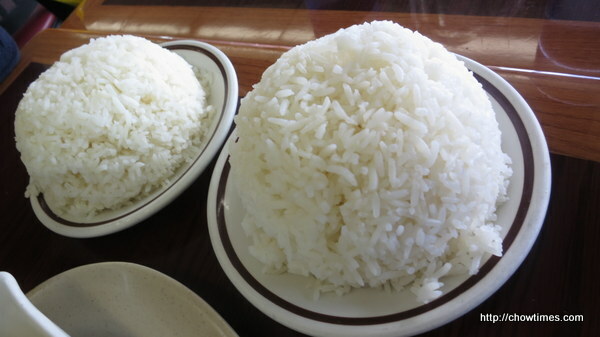 So, we ordered two servings of rice. The rice came in a plate instead of a bowl. 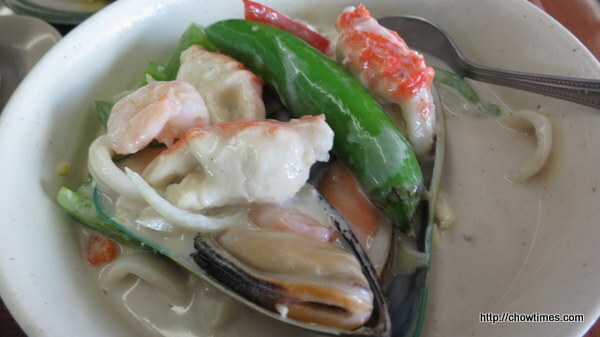 We asked for recommendation from the server and she recommended Mixed Seafood in coconut soup. The artificial crab claw was cute. We ended with two dishes with coconut milk and it was just too “lao” (not sure what is the appropriate English term to describe it). We went out for dinner before we dropped off Ben at the airport for his business trip. It was the Saturday where Metro Vancouver was hit with a severe wind storm and a lot of places lost power. We tried to avoid travelling on No. 3 Road because we were not sure if the traffic lights were out which will bring traffic to a crawl. So, we traveled via Gilbert Road until Westminster Highway and return to No. 3 Road to look for a restaurant for dinner. We were not sure how bad No. 3 Road businesses were hit. 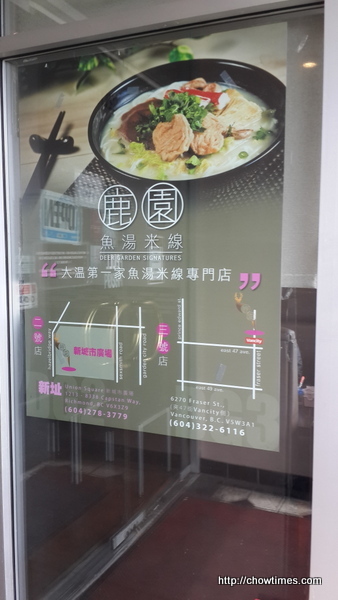 The first strip mall we came upon was where Mui Garden is located and we just settled for that as we did not want to take the risk to look further. It’s been a long while since we came here. 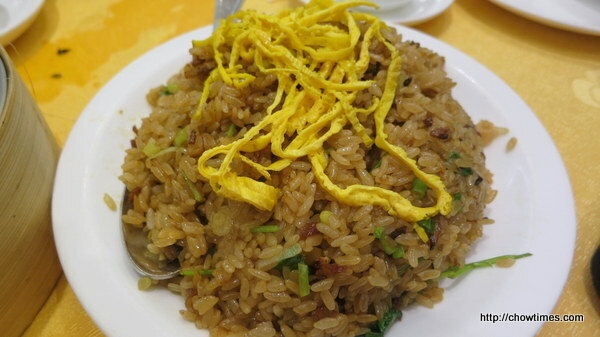 The last time we were here, we had to wait an hour for the oily rice to come out. We opted for the 4 dishes combo. 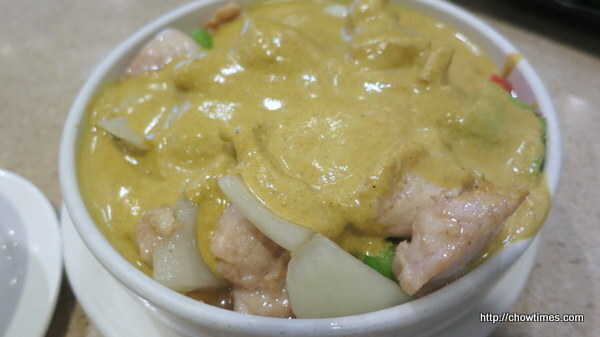 The first dish was Curry Chicken. 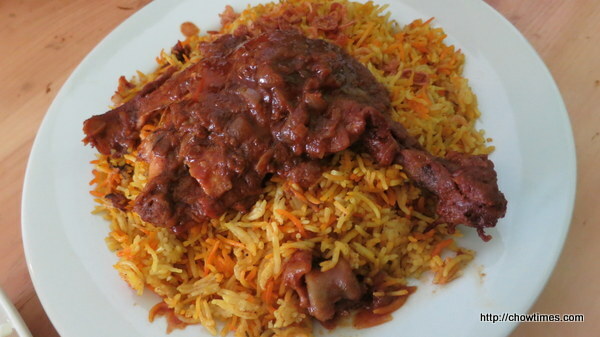 The chicken is boneless and the curry has a thick texture. Arkensen likes this kind of curry. Ben commented that the texture of the chicken is weird.